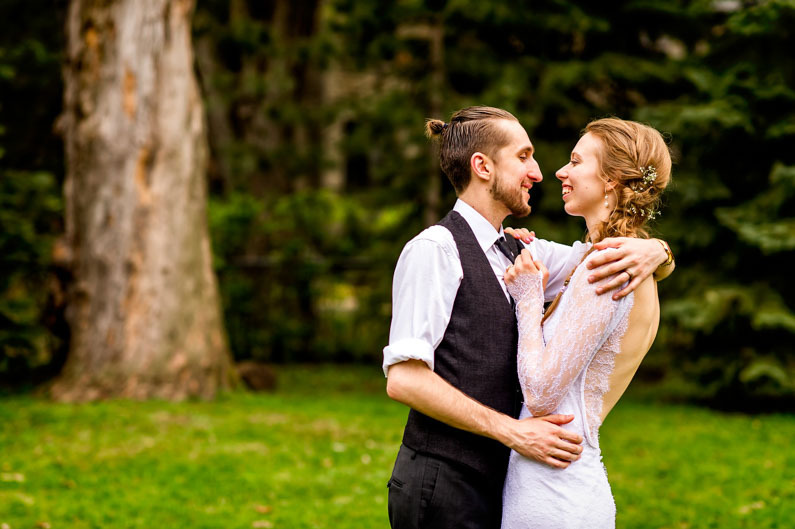 After 6 years of dating long distance, with lots of travel across Canada and the U.S., Mollie and Johanu finally decided to get married in one of their favourite cities: Montreal. They were looking for a photographer to capture the spontaneous moments and all the fun emotions of their wedding. 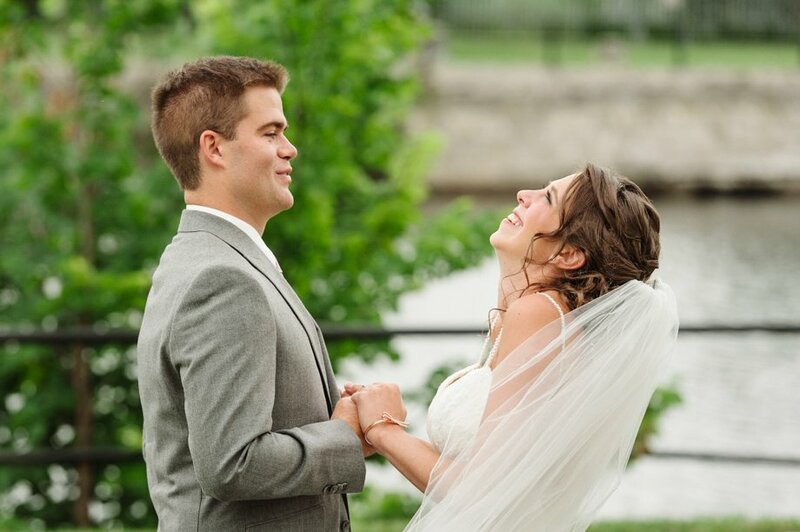 Their wedding venue was Restaurant L'Ambroisie's Espace Canal, near the Lachine Canal. The bride and groom saw each other before the wedding with an emotional first look. A friend of the groom's officiated the wedding ceremony giving it a personal touch. Mollie released balloons into the sky as a heartfelt memorial for her father at the beginning of the ceremony. Their huge bridal party (16 friends) played a big role in the wedding ceremony and reception. Having photographed Sarah's sister's wedding a few months before, we knew hers would be just as authentic and exciting. It's always an honor to capture precious moments for different members of the same family and this one was no exception. Though the skies had a warning presence of rain and thunderstorms throughout the day, it actually held itself from pouring up until the very last minute of the portraits session. For that, we're all thankful to the gods of photography. The morning started with capturing moments of the guys getting ready at David's place with his friends and family. We then resumed the morning at Sarah's home as she got into her wedding dress with the help of her best friend and her mom. 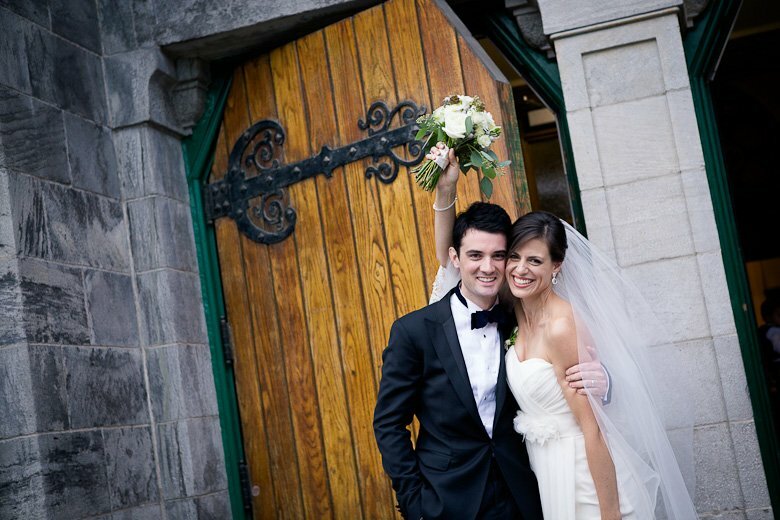 The ceremony was held in a beautiful, rustic church in the city of Westmount in Montreal. Their pastor did an awesome job in inviting everyone to partake on the celebration of these two. For their portraits session, we took advantage of the beautiful surroundings that Westmount already offered us to make timeless photographs for them. We love these two a lot and wish them a most wonderful adventure as they walk on the path of life together as one. It was a hectic time for both Vanessa & Matt trying to plan a wedding from their home in Calgary, it's not easy but they pulled it off, everything was beautiful. Vanessa loves pink and her whole wedding theme surrounded around the color. Most of the photos were shot at The Leg and surrounding Wascana Park. We had so much fun with Vanessa , Matt and their rockin wedding party. A day full of happiness and laughter. It was predicted 30 mm of rain for the afternoon but thank goodness it didn't start raining till we finished the photos. It was a awesome day for them both. After photographing hundreds of weddings, I have to say that Erin & Tom had a lot of unique and totally fun touches I've never seen before. 1) The guys rode quads for their processional, all with the theme colors of orange and neon yellow! 2) Erin's daughter and son were in the wedding party and I loved that they all walked down the aisle as a family for the recessional. 3) There were tons of kids at the wedding, so they set up a huge pirate bouncy castle. We had a ton of fun doing some portraits in the castle. 4) They had one of the neatest wedding cakes I've ever seen - featuring a giant tire full of chocolate mud splashing the neon yellow cake. Tom's favorite color is orange, and they tied that in with neon yellow for all the accessories worn by the wedding party, including the shoes, socks, sashes and bouquets. And the vibe at this wedding was just as colorful, with one of the best cake-in-the-face smash I've seen in a while too. Church & State Winery is a great venue for a wedding in Victoria, B.C. As you can see from the photos, it made a perfect backdrop for the entire day and guests were able to try some of the famous award-winning wines during dinner. Plus, executive chef Desiree Perrin creates a custom menu for every event. The first time I met Golnar and Pedram in Montreal, I knew I'm going to love them. I was excited to photograph their wedding. Golnar is so beautiful and elegant that I think each photographer would love photographing her. She looked gorgeous in her wedding dress!!! Each time I meet Pedram, he makes me laugh. He told me, you'll see all my family is like that. We are funny people; we laugh a lot and enjoy the life. And he was right!!! 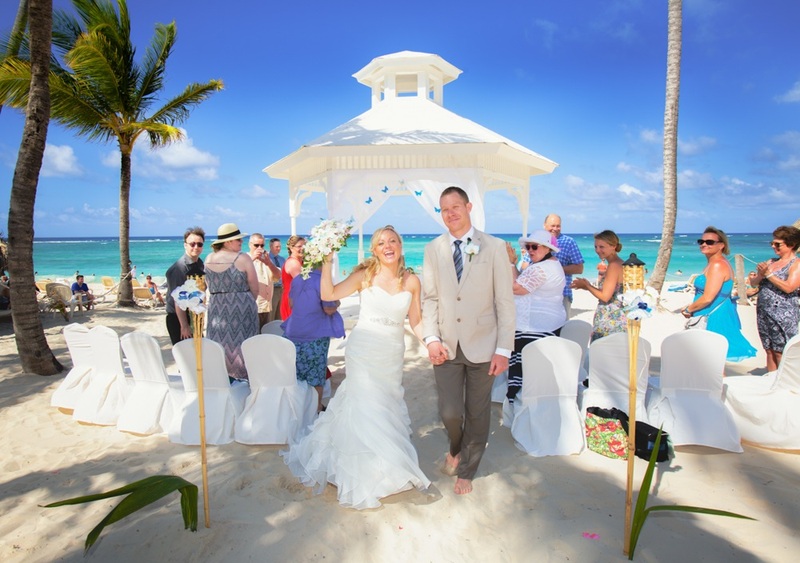 I enjoyed every moment on their wedding day and was so fun working with everyone involved there. I had the chance to be part of a beautiful and touching Persian ceremony. I must admit all the Persian weddings I've done before were filled with emotions. People were laughing and crying. They were natural. I loved capturing all those precious moments filled with emotions and LOVE!!! 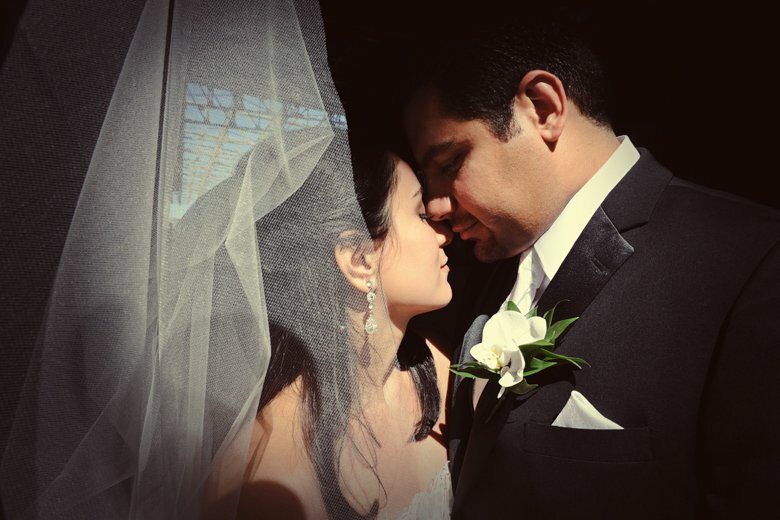 Golnar and Pedram, you were such an awesome couple to work! Anu & Rajeev's wedding has been one of the most talked about wedding on our blog, we get multiple requests each month for brides inspired by the wedding and wanting to plan their wedding in a similar style. Anu & Rajeev did something quite different for their wedding - they had a traditional Sikh wedding in an untraditional location: Cabo San Lucas, Mexico! Anu's sisters applied her wedding mehndi by the beach, and each pre-wedding ceremony was held in a romantic, tropical setting on the patio of the infinity pool at the Dreams Los Cabos. Anu & Rajeev took advantage of the beach setting to start a trend, by having a 'trash the lengha' session in the surf - definitely something daring for an Indian bride! Anu switched to a traditional white bridal gown for their open-air reception complete with fireworks. A couples session the following day found Anu & Rajeev contrasted against huge sandy cliffs - a breathtaking location. 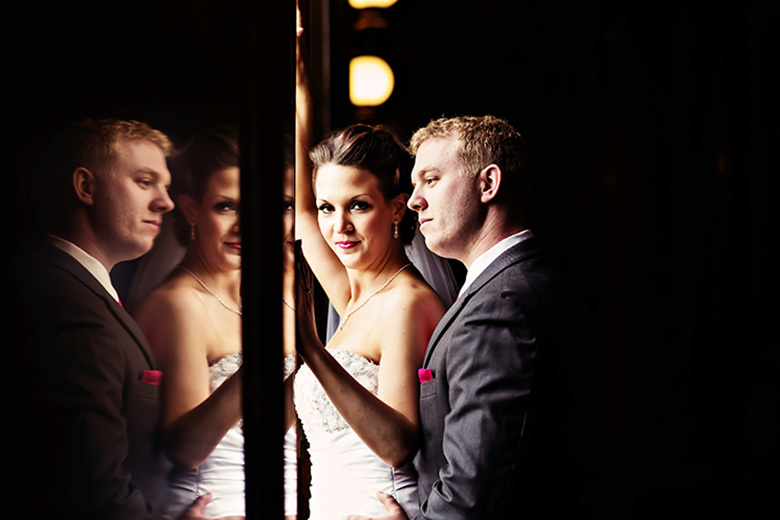 We were very excited to showcase Kristin + Josh's fabulous wedding! Kristin found us quite a few years ago and told us that ever since then, she's wanted us to be her wedding photographers. Hearing those kinds of words and having the chance to connect like that really makes our job so amazingly fantastic! The thing that really stands out about this wedding are the couples' SMILES. The couple never held back! These are the moments we live for :) There's nothing better than a super happy bride and groom who aren't afraid to smile, cry, dance, and burst out laughing! And smile, laugh, cry, and dance they did - all day, all night. Kristin's hair was beautifully done by Jen Li from Kevin Murphy, and makeup from Tania El Zahr from Illuminate Make-Up. Her gorgeous wedding dress was from Allure Couture, and her flowers from La Piazza Dasee. 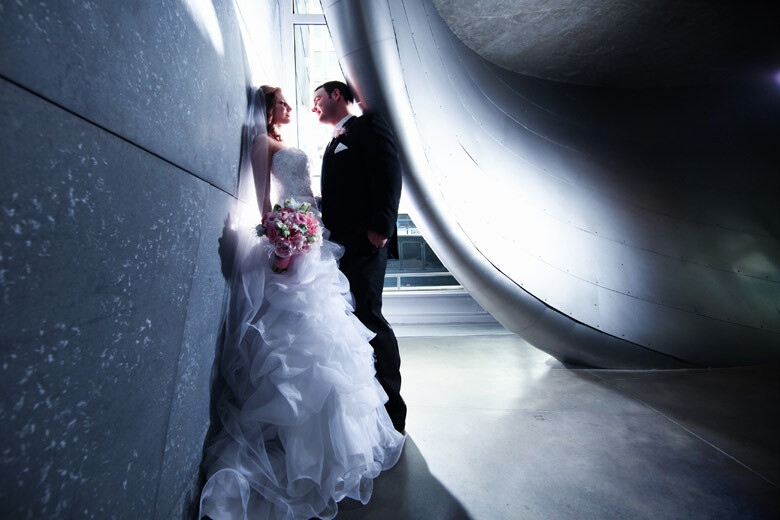 The ceremony was at the ultra modern Alberta Art Gallery in their Ledcor Theatre, with plenty of tears of joy :) We definitely had a blast using the architecture of the Alberta Art Gallery and ventured to some nearby spots for formals. The reception was held at the trendy Packrat Louie just off of Whyte Ave. The fabulous cake was made by Cakes by Cassie and their martini luge from Frozen Memories. The food and service was amazing by the way, and everyone had a great time!